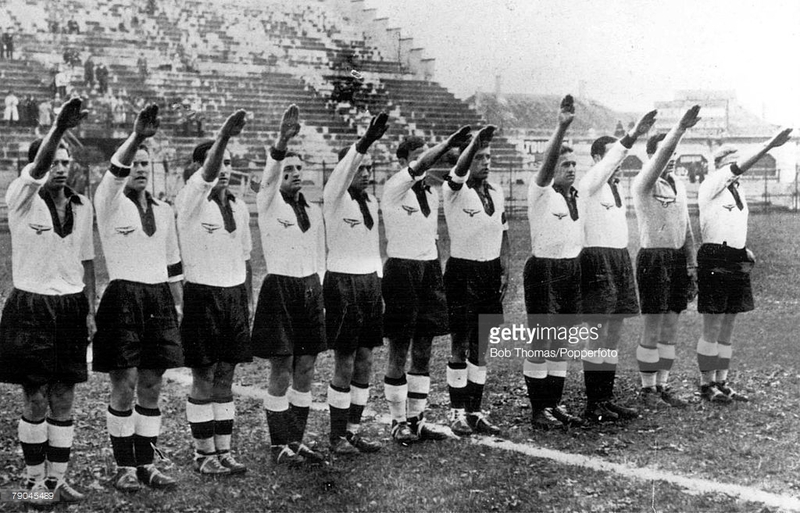 Germany: W. Kreß, Haringer, W. Busch, R. Gramlich, Szepan, Zielinski, Lehner, Hohmann, Conen, Siffling, Kobierski. 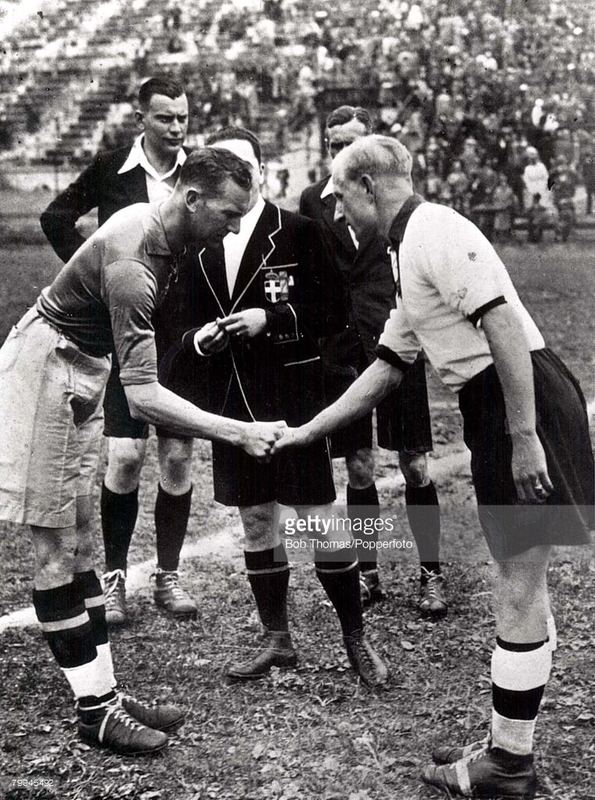 Sweden: Rydberg, S. Andersson, Axelsson, Carlsson, Rosén, E. Andersson, Dunker, Gustavsson, Jonasson, Keller, Kroon. Goals: 1:0 Hohmann (60. 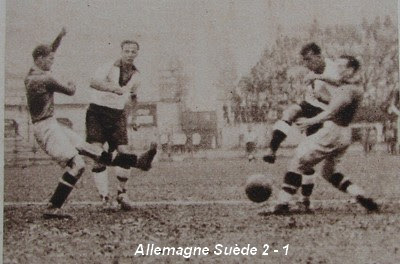 ), 2:0 Hohmann (63. ), 2:1 Dunker (80.). 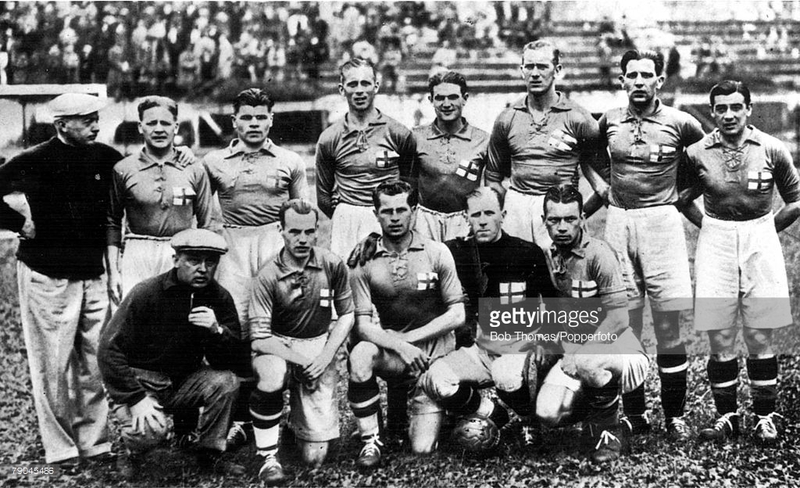 This entry was posted in 10.000-19.000, 1930-1939, 1934, Milan, Neutral field, Quarter-final, Sweden, Team photo, Tournaments, World Cup, World Cup 1934. Bookmark the permalink.